If there’s one thing that stood out from last year’s Motorola Moto E3, it was an impressive battery life crammed into an entry-level body. If the latest rumors are to be believed, the next in the Moto E line will have even more juice, thanks to a massive battery. 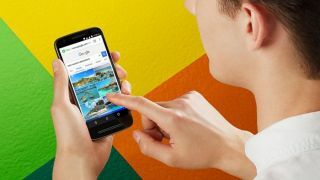 An FCC test report was recently uncovered for a Motorola-branded phone under the model number XT1773 — believed to be the Motorola Moto E4 Plus, according to WinFuture leaker Roland Quandt. Going off the report, the Moto E4 Plus looks like it's forgoing a Snapdragon processor for a MediaTek SoC and, more noticeably, a powerful battery with a whopping capacity of 5,000mAh. Should this be the case, the supposed Moto E4 Plus is sitting on a hefty power supply — a major plus for any phone owner, especially those looking for a budget device. The Moto E3 cost a reasonable £99 (around $125, AU$170). By contrast, the Samsung Galaxy S8 and S8 Plus sport 3,000 and 3,500mAh batteries, respectively, and we consider those to be quite good for the devices' form factors and features. Apple tends to be more discreet with the exact measurements of its batteries, but it looks like the iPhone 7 and iPhone 7 Plus sit at around 1,9060 and 2,900mAh respectively, according to GSM Arena. Of course, it’s too soon to call this FCC report a bonafide Moto E4 Plus announcement. Still, seeing something reach the point where a government filing is necessary means it might not be long before we hear official word from Motorola (or rather, Lenovo) about what's in store for the Moto E line. Lenovo, you may recall, owns the Motrorola brand and has even put out an energy-sipping handset of its own with the Lenovo P2. Is this the Moto X 2017?